This statistic depicts the findings of a survey on the mobile phone usage during everyday activities in Ireland in 2014. 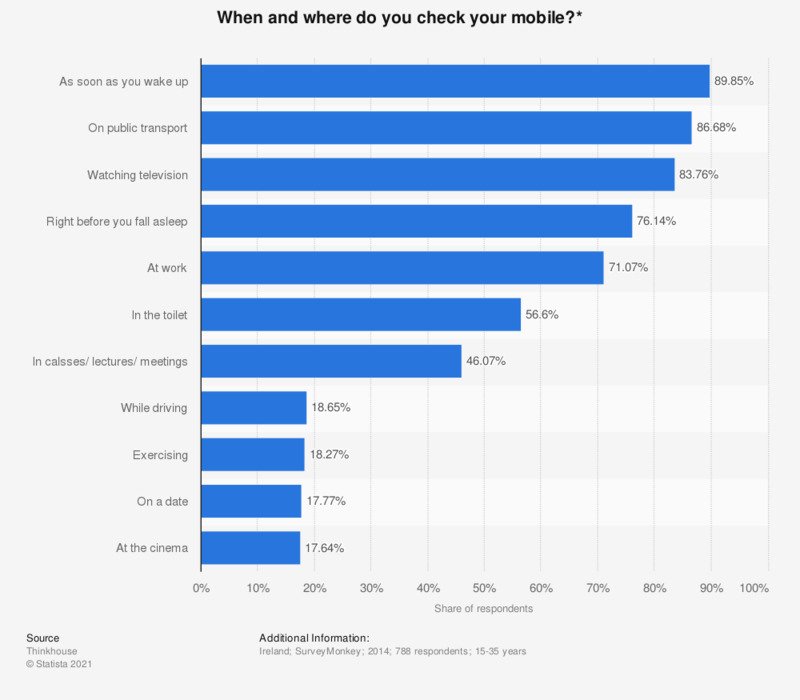 During the survey period, it was found that 86.68 of respondents reported checking their mobile phone while being on the public transport. * This question was phrased by the source as follows: "Do you check your mobile... (select as many as apply)"